If you’re in the planning stage of a wedding I’m sure you’re well aware of how big a job it is and along the way how many decisions you have to make to plan your perfect day. The Wedding Industry Awards is designed to recognise and reward excellence in the wedding industry. This will then help anyone who is organising a wedding to make better educated decisions when booking their wedding suppliers. The Wedding Industry Awards ensure that there is now a credible and reliable independent National awards process and event. These are the only client-voted national awards in the wedding industry and the judging panel is second to none in its breadth and depth of experience http://www.the-wedding-industry-awards.co.uk/about-the-awards/judging-panel/. This means that the results have real meaning and are useful to both the entrants and anyone organising a wedding looking for the best wedding suppliers both regionally and nationally. Guy entered the Wedding Industry Awards last year and was first of all shortlisted for the entertainment category, then won the regional award for entertainment which meant he was a National Finalist. In the final he was beaten for the National title by a 16 piece band but was none the less pleased with how far he went and is hoping to go one step further for the 2013 prize. Once the Awards are presented the entrants are given all the feedback from the couples who voted for them. To help you make a informed decision for using Guy at your Wedding please see below the comments that he was given from last year’s weddings. These cover not only the performance on the day but also the whole process of booking Guy and his support before and after the big day. 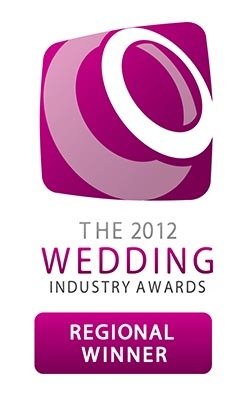 For more information about the awards please visit http://www.the-wedding-industry-awards.co.uk/. Totally amazing and blew our guests away. People are still talking about it now. still to this day can not figure out how he did the tricks!! Guy was very friendly & mingled great eith our guests. our guests were very impressed with him & gave excellent feedback on Guy aswell. Guy Portlock magic is amazing! He is a brilliant guy & not only got on well with all of guests but even turned the magic haters into magic lovers! Everyone was amazed at the tricks & in general the show that Guy puts on. He is a great guy, very personable & friendly & did a fantastic job! 1 year on & everyone stills talks about it! I have since reccomended Guy for 2 friends weddings where he also went down a storm! Were just trying to think of another reason to book him! Even though our Wedding took place over 17 months ago some of our guests still continue to tell us about their encounters with Guy at our Wedding. We consider our decision to book him as one of the best we made in regards to our Wedding Day suppliers. On the day our guests thought that Guy was friendly, approachable, smartly dressed, highly skilled and very entertaining. Our only disappointment is that we did not get to see more of him on the day as we were having our photos taken at the time. We really would recommend Guy Portlock to anybody who is planning an event where you may need to keep groups of guests entertained, especially if it is for a Wedding. Ours was the perfect wedding but Guy made it magical. He gave it the cutting edge above all other weddings that we went to last year. He is so sleek and professional, ubobtrusive and simply outstanding. He simple must win this award. Brilliant entertainment on the day of the wedding and over a year on our guests still compliment Guy on his magic skills. Before the wedding Guy was in contact and we discussed our requirements which he was very accomodating to. So pleased that we have a great wedding DVD which has captured Guy in action and we are still very pleased with choosing Guy as entertainment as he made sure he went round to all the guests. Definatley would recommend. Having Guy at the wedding was a total success, he was incredible with all the guests and they were absolutely astonished by his outstanding magic plus he is brilliant at circulating and making people laugh and feel at ease. I still do not know how he did the tricks, he is such a performer and would not be out of place on television. I would book him again in an instant, he worked very hard the entire time of the booking, he made us and our guests feel special and he made our wedding stand out from all the rest – people still talk about it now! love him! He totally deserves to win this prize, as in all the weddings i have ever been to, there has never been another performer that compares. He arrived on the day and just got on with the magic, being the Father of the Bride I was busy with photos etc but I could see by the various group of guests he attracted and the feedback I received that he did an outstanding job of entertainment, I would not hesitate to recommend. Guy is a very approachable, professional and friendly man who ‘fit’ in very well amongst the well turned out wedding guests, people just thought he was part of the wedding party! From the initial meeting with Guy at the wedding fayre he was very charming and even managed to ‘woo’ my Mum! He was easy to contact and provided me with answers to all my questions in a timely manner and was a pleasure to deal with. He was also accommodating with my requests (i.e. people who I wanted him to perform tricks on). My guests thought he was absolutely brilliant and were talking about the tricks he performed for days after the wedding. He also made sure he said goodbye to us at the end of his set and was in contact with us after the event to make sure we enjoyed his work. My only regret is that me and my husband didn’t get to spend more time with him on the day! Guy was outstanding, he was very prompt as responding to queries before the wedding and was very helpful in providing guidance to when his entertainment could fit into our day. At the event Guy was fantastic and stunned even the “non believers” in magic! His close up work was flawless, leaving everyone saying, “but it was right in front of me”…”how did he do it!” Guy was very good at making sure every group of guests got to see his entertainment, we received so many compliments from our guests and as an individual Guy was extremely polite, well presented and professional. We wish him very well in going for this award as we think he would be a very worthy winner. Fantastic entertainer, our guests were left bemused and baffled and still talk about his tricks. Guy was really friendly at the wedding fair and I knew instantly I wanted him for our wedding day. He kept in good contact on the lead up to the wedding, was punctual on the day and all the guests said how great him magic was! Made the day really memorable! Booking guy was a fantastic decision- so many guests commented on his amazing magic! Guy was absolutely fantastic! I couldn’t have asked for better entertainment for our wedding. Our guests didn’t stop talking about him for weeks afterwards. Communication with Guy was brilliant before the event and he also emailed the after to say how much he enjoyed it. He stayed a bit longer than he was supposed to as our guests were enjoying him so much. I really couldn’t recommend Guy highly enough – thoroughly professional, great value for money and he made sure he entertained every single guest. We found Guy to be personable at the Weeding Fair and clearly good at his trade, which is why we booked him. He kept in touch regularly on the lead up to our wedding day. On the day itself he was informal but very professional and all of our guests loved him, without exception. Absolutely Brilliant! Guy was outstanding. I wasn’t even considering a magician until I met him at a wedding fair and I booked him immediately! My wedding was over a year ago and my guests STILL talk about him. I have recommended Guy to everyone I know, but actually, I don’t usually get that far…they usually ask me for his number before I get the chance to offer! SINCE MY WEDDING I HAVE PASSED GUY’S DETAILS ONTO TWO FRIENDS WHO ARE BOTH BOOKING HIM. HE WAS A TRUE GENTLEMAN ON THE DAY, TAKING TIME OUT TO SPEAK TO MYSELF AND MY NEW WIFE AND MAKING US FEEL AT EASE. MY GUESTS RAVED ABOUT HIS TRICKS AND HE EVEN HAD TIME TO SIT AND WATCH AS AN 8 YEAR OLD TRIED TO SHOW HIM A TRICK OF HIS OWN. TRUELY A LOVELY PERSON WHO IS WARM AND APPROACHABLE AND THIS IS REFLECTED IN HIS AMAZING PERFORMANCE. Absolutely fantastic. was a big talking point of the day everyone loved him. We booked Guy after we saw him performing at a wedding fair. After seeing him perform and quality, we knew he was going to impress our guests. After the wedding one of the key talking points was Guy and the entertainment he provided to our guest. Very very impressive and added a little extra “magic” to our wedding. Would strongly recommend him to anyone who’s considering hiring a magician for their wedding. Guys Magic made our day even more special. Guy added to the evening entertainment enthalling both Kids and Adults. We had so many comments about how good the Magician was and how he was so good with the kids. Guy wandered around – unobtrusivly and enthralled all our guests old and young. Guy was absolutely outstanding! He left all of our guests speechless, including us! We were so impressed with his professionalism leading up to the day and his kindness afterwards. He definitely deserves this award because he is a credit to the industry. All of our guests were so impressed and completely amazed by Guy’s performances! I orignally saw Guy at a freinds wdding reception and i was so impressed with his skill and presentation i immeadiatly booked him for my sons wedding.All the guests were amazed at the magic performed ,Guy manner is freindly and unassuming he becomes a part of festivities rather than being the star. Guy was totally amazing! All our guests were blown away by his magic! From the moment I met Guy, I knew he’d be brilliant at our wedding and he didn’t disappoint. He turned up looking like one of our guests; beautifully groomed in a gorgeous suit and just did his thing. I could hear people talking about him during our wedding breakfast which is a sure sign he was a huge hit! Guy’s performance at our wedding was truly fantastic, every single one of our guests commented on how impressed they were with his skills. A lot of our friends have since asked for Guy’s details and we have happily recommended him to anybody looking for a magician. Guy mingled with our guests during the photography, which can sometimes be a bit of lull on a wedding day, and his performances kept everyone happy during this period. We had nothing but positive feedback from our guests about Guy. Guy’s communications before and after the wedding were also superb, we really can’t fault him at all! Guy from the moment we made contact, till after the wedding was complete was professional, helpful, made everything very clear, and on the night his magic and warmth towards the guests was outstanding. Pretty much all of our guests commented on how good he was, and he got round to i think everyone of our guests, so no one got left out.. He did a friend of mines wedding this summer, which was a booking from the strength of his performance that night, which also went down a storm. Highly recommended!! Guy was amazing and entertained our guests with his magic, he could find tricks for young children and tricks for the adults. All of our wedding party were gobsmacked by his tricks and it really made our day extra special. We kept all the playing cards with names on for our wedding album. he was really personable and social with our guests. Saw Guy at a wedding fair in the Old Bank Pub in swindon, he was amazing, tried my hardest to see how he did the close up magic but it was impossible…..thought what a good idea it would be to have him entertain our guests at the wedding…everybody commented on his magic and said how good he was, made people feel at ease, and they made sure he came to their table.. Guy was fantastic & extremely professional throughout our wedding, having him there created a real buzz during the reception. The feedback from all of our guests was amazing & it took them a while to come back to talking about my bride! He worked his way seamlessly through 70 guests & ensured everybody saw a trick; the photos captured of engaged faces from our guests summed it all up. We would not hesitate to hire Guy for another event in the future; he really did help make our day special & enable us to enjoy the photos rather than worry whether the guests were being entertained. Fantastic personality & extremely well dressed for the formal occasion. When we first met guy he was very friendly and very well presented, he performed some magic tricks on us and they were amazing so we decided he would be perfect for our wedding. On the day of our wedding he arrived early and was ready to perform straight away, he kept all guests including children entertained they loved it. The majority of our guests commented to us on how good he was and we would definately recommend him. Amazing Magician, very easy to work with and kept us up to date with plans before the reception. Would definitly reccommend, even 18 months later my friends still ask how he did particular tricks Gret fun !!! Guy is such a funny, personable guy, and his tricks are amazing. As soon as he pulled out his cards, there was a thick throng of people surrounding him, mouths open at how brilliant he was. My aunt and mother developed quite a crush, and my cousin’s boyfriend decided he wanted to be a magician. Sweetly, Guy even taught him a trick and gave him a pack of cards to take away. Everybody loved him to bits, and we were so pleased we had him perform at our wedding. Guy was with us for about 2.5 hours on our wedding day and everyone loved him and absolutely awe struck with his magic. Guy made sure that he spoke to everyone from the young to the elder of our guests with the same response…wow! how did you do that!! Guy was a pleasure to hire. He always got back to our questions and acknowledged payments extremely promptly, and his contract was extremely clear. Subsequently everyone’s expectations were understood. At our drinks reception, he was very discreet in performing, and ensured he worked the whole room and had seen all our guests. Importantly, he also spent time performing to us. Not only did he amaze us (again), but he had all our guests talking about his tricks. Even those who tried watching him very closely, from different angles, were still mystified! Guy was a massive hit with our guests, polite and prompt to deal with, and filled the difficult long drinks slot perfectly. We would hire him again in an instant. Guy was friendly and was an excellent magician leaving us all baffled!! he was not at all your typical cheesey magician and guests were comfortable around him. he was easy going and not at all pushy.